IoT represents the current revolution in supply chain management (SCM). As more and more of our assets now have the ability to communicate with one another and share data, the SCM process continues to gain efficiencies from end-to-end. No matter what industry we are talking about, experts can all agree: in terms of what is known as the “Fourth Industrial Revolution”, we are only at the beginning. In addition to cutting costs, IoT supports better control of all processes within the supply chain, delivering transparency and value in every aspect of your business. Companies of all kinds have responded enthusiastically to new SCM technologies, investing heavily in IoT, AI, and machine learning platforms to the point that these methods have established themselves as the new standard for doing business in today’s global marketplace. In other words – keep up or risk being left behind. While future penetration for IoT is still a topic of much debate, by most estimates, we will top 50 billion connected devices (or more) by the year 2020. However, this is still a fairly conservative guess as it only represents about three percent of all possible connectable “things”. Annual growth in this sector is estimated to be between 7 and 15 percent overall, though spending in the supply chain and logistics sector has easily quadrupled in the past three years alone. Is IoT technology today’s Darwinian moment? Today, a brand’s technological posture is a clear indicator of whether or not they will survive. The ability to dive deeply into company data is rising to the fore as a basic necessity as competition continues to mount. Access to this data can only be realized through the digitization of all processes, the data from which can then be analyzed to provide valuable business insights, boost profits, and drive greater efficiencies. Companies that can meet the current “need for speed” will rise to the fore, while companies that cannot will be left behind. Rather than being a doomsday forecast, this is more a sign of the times, one that will separate the top players from the rest, weeding out the waste and rewarding the best with all the spoils that leadership should bring. 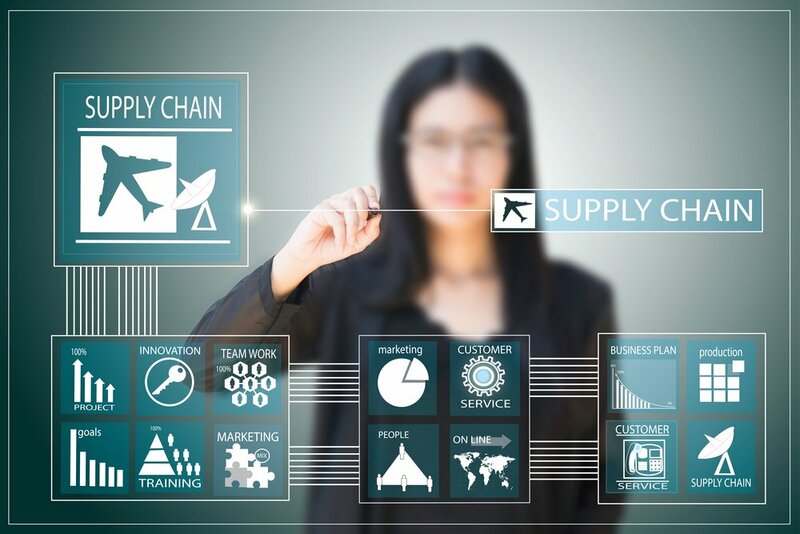 As more things and devices are connected throughout the supply chain, it is becoming easier for companies to realize the benefits of IoT in SCM. With most suppliers, transportation companies, factories, and warehouses adopting an IoT-enabled infrastructure, more companies are able to take advantage of the data and insights available to them through these sources. Leaving the factory floor, boxes can now communicate with pallets, trucks or containers, meaning that companies have a granular view of every aspect of their supply chain. IoT platforms that support data analysis at this level will enable companies to become more autonomous, eliminating the need to leverage outside services as a source of this information. In conclusion, while there is still much to be learned and a lot of room to grow along the way, the IoT revolution in supply chain management is alive and well in the world. How are you responding to these changes? If you would like to learn more about how IoT can improve your SCM, reach out today. IoT represents the current revolution in supply chain management (SCM). In addition to cutting costs, IoT supports better control of all processes within the supply chain, delivering transparency and value in every aspect of your business.